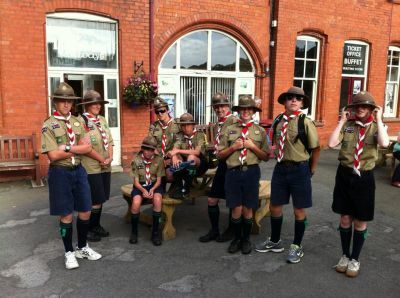 The Scout Movement was founded by Lord Robert Baden-Powell (BP) in 1907. 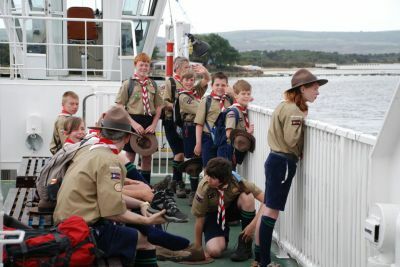 The first camp he organised was held on Brownsea Island with four patrols of boys from London and Bournemouth. After the success of the camp, BP wrote a book called Scouting for Boys; this was based on an army training manual he had previously written called Aids to Scouting. BP actually found that children were reading and carrying out the ideas in his Aids to Scouting book and so wrote Scouting for Boys which proved extremely popular and started the trend of boys making their own patrols and finding adults to help lead them. 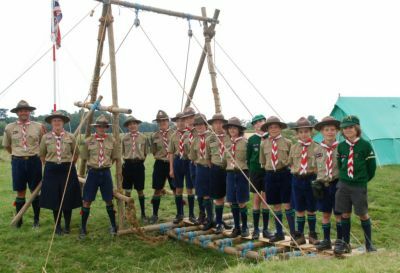 Within three years there were over 100,000 Scouts in the UK, compared to today where there are approximately twenty-five million members world-wide. 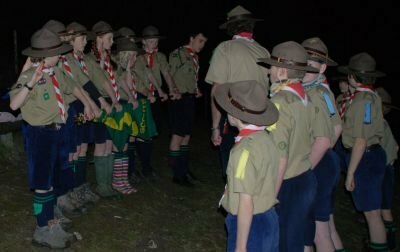 Scouts are usually aged between 11 and 15 and may be boys or girls. Clean in body and mind. And obey The Scout Law. 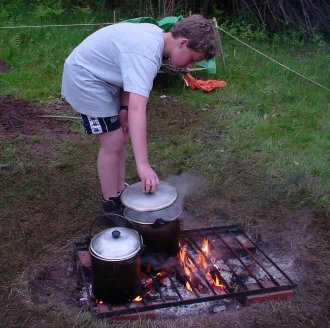 Age: You can join Scouts at 11 years old. 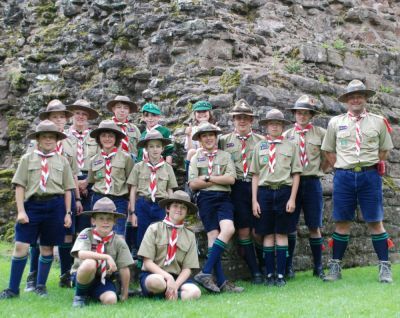 If you are already a Wolf Cub you can start coming to Scouts up to 3 months before this time. At the beginning of the troop meeting Flag Break is carried out. The scouts are lined up in rows with the duty patrol at the front. The duty patrol should be aligned one step back from the flag. The other patrols should be spaced out as the hall/area allows. The scouters should line up facing the scouts. The PLs should be (from the point of view of the scoutmaster) on the left and the patrol second on the right. In Flag Break, the union flag is folded such that it will be 'broken' when a cord is pulled. The duty PL will break the flag, step back 3 paces and then salute the flag. The other Scouts and Leaders will also salute the flag. SM: "Troop, Troop, fall in patrols"
PL: Takes one step forward leading with his left leg, takes right knee up parallel to the floor and stamps it down to the alert. PL: "Ready for flag break Skip"
PL: Smartly marches forward such that he is level with his PS but is facing the retire (Smartly stops by taking right knee up parallel to the floor and stamping it down to the alert). SM: "Troop, Troop, Stand At Ease"
PL: "Troop, Troop FLAG face"
PL: Marches towards the flag and stops with the stamp on right leg. PL: "Troop, Troop FRONT face"
PL: "Troop, Troop stand at ease"